President Obama's top energy adviser says the Gulf of Mexico oil leak is "probably the biggest environmental disaster" ever in US history. Oil has been gushing into the Gulf for nearly six weeks, causing a spill bigger than that in the 1989 Exxon Valdez spill in Alaskan waters. 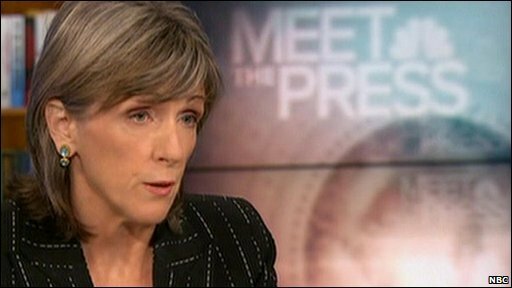 Carol Browner told NBC's Meet The Press it was "certainly the biggest oil spill", and the government was committed to the "biggest environmental response".